Tourism is one of the largest and fastest-growing economic sectors in the world. Statistics show that on a global scale, one over eleven jobs is tourism-related, as well as six percent (6%) of the world’s exports. Today, tourism is more than just a mere source of leisure: people are becoming more and more aware of its socio-economic and environmental impacts and benefits. According to the UNWTO Highlights (a World Tourism Organization’s periodical), in 2013 Africa increased international arrivals by an estimated 6% in 2012, the second fastest growth by region after Asia and the Pacific. Sub-Saharan destinations posted a 5% increase. Countries with data available reflected a consolidation of growth seen in previous years. It is the case of South Africa, the largest destination in the sub-region, which grew by 10% in 2012 to over 9 million arrivals. MoShare readers will be pleased to know that less developed countries were not left behind. Indeed amongst the other destinations with strong growth, Cameroon (+35%) was top of the list, followed by Tanzania (+24%) and Sierra Leone (+14%). However as far as Cameroon is concerned, statistics and reality on the ground are somewhat antipodal, for one can easily notice that when it comes to tourism realities, only a slight portion of the population is knowledgeable. Tourism is still not considered as a main source of economic growth and it seems like up until recently, the Cameroonian government still hadn’t realized the opportunities lying in that sector. Tourism literature is almost inexistent and available statistics are outdated. Accessibility to most attractions remains problematic and Cameroonians themselves don’t feel the urge to explore their country. Yet, when during a chat session, I asked a group of friends about their conception of Cameroonian tourism , I was told about a new hotel opening in Douala and the Limbe and Kribi beaches. Emphasis was put on the capital city’s limited attractions and its bustling nightlife. Our own view of our country is sometimes so narrow, I am relieved to know all tourists don’t rely on it before taking the decision to come and visit. Fortunately for us, Cameroonian tourism is more than just a hill and two beaches: first of all, there’s the people, a unique, vibrant and welcoming nation, with a rich cultural heritage; second of all, there’s the land, full of unexploited attractions and under-appreciated resources, from the northern Kotoko palaces to the forgotten slave trade port of Bimbia in the South West Region. Remember that nickname we are so proud of: “Africa in miniature”? Cameroon definitely deserves every bit of it. 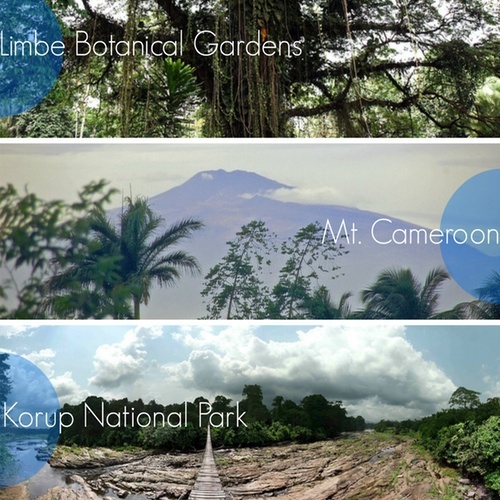 At the moment, Cameroonian tourism remains lethargic but a new strategy has been established a couple of years ago by the Ministry of Tourism and Leisure (MINTOUR), which promises to make it rise from its torpor. We’ve already got an advantage: the tourism appeal is already there, we don’t need to fabricate it, all we need is a suitable way to exploit and market it. Populations must be involved in the management process of their resources for a sustainable approach to be implemented. In addition, masses should be educated on the benefits of tourism activity and its impacts on their daily lives; local tourism offices have an important role to play in this regard. It is time that our government increases focus, switching from external markets to considering Cameroonians as prime targets in its promotional efforts.